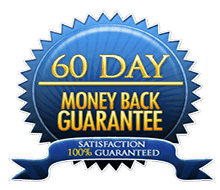 We're so confident that Phytoceramides-Pure™ will work for you, that we are pleased to offer a 60 day Risk Free Money Back Guarantee! Why Is Phytoceramides-Pure™ The #1 Anti-Aging Product? The fact is that most Phytoceramide products do not live up to their claims. Most are not formulated with the proper dosage and do not contain the optimal amount of Phytoceramides. Many do not come from the source that was proven to be effective in clinical studies. Buyer Beware: Know what you're getting before you buy a Phytoceramide product. Hundreds of fly-by-night supplement makers are rushing to create their own product and "cash-in" on this huge anti-aging breakthrough. They might claim to have the best product, but most fall short of the basic criteria. So before you buy, make sure the phytoceramides you choose are pure and meet all the recommendations for maximum effectiveness. What Makes Phytoceramides-Pure™ The #1 Choice? You see, most Phytoceramide products contain poor quality Phytoceramides, which are the key ingredient essential for achieving great results. * Which is why the products that contain less than 350mg of Phytoceramides might help a little - but they are not the most effective. Sometimes they don't even work at all. Don't you deserve the best? Most Phytoceramide alternatives have less than top-notch purity, and are packaged in an improper dose. Many contain binders, fillers, and unnecessary ingredients. Most do not contain 100% of the recommended DV of vitamins A, C, D and E to optimize the positive benefits of Phytoceramides. Phytoceramides Pure™ was developed to adhere to the strictest quality standards and contain more effective and bioavailable ingredients than any other product, hands down. Which is why people are calling it the 'Ultimate Phytoceramide Supplement'. Phytoceramides Pure™ utilizes extensively researched ingredients that are at the top of their respective health goals in terms of quality standards, scientific research, and purity. We recommend comparing the amount of Phytoceramides and other anti-aging vitamins (A, C, D & E) in Phytoceramides Pure™ with the competition. We are confident that you will not find a better Phytoceramide product on the market. Phytoceramides-Pure™ contains clinically tested ingredients that meet the strength and purity guidelines of the USP/NF (United States Pharmacopeia–National Formulary). Phytoceramides-Pure™ is manufactured in the United States in an FDA registered laboratory that exceeds industry standards. 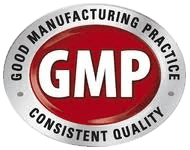 Our manufacturing facility is GMP-certified and abides by the strictest FDA recommendations. What To Watch Out For When Buying Phytoceramides? Experts agree that there are several factors you should consider when purchasing a Phytoceramide product. Does it contain a 350mg daily serving of Phytoceramides? Does it contain 100% recommended DV of vitamins A, C, D and E? Is it 100% pure (with no fillers, binders or artificial ingredients)? Does it have the proper dosage and potency? Does it have 100% natural ingredients that are scientifically-proven to be effective? Is it produced in a cGMP, FDA registered laboratory and manufactured under the strict guidelines of the U.S. Food and Drug Administration? It is recommended to take at least 350mg of Phytoceramides a day which is the key to erasing fine lines and wrinkles. (Phytoceramides-Pure™ contains 350mg a day). It should contain 100% of the recommended DV of vitamins A, C, D and E for added positive benefits. (Phytoceramides-Pure™ contains vitamins A, C, D and E). It needs to be 100% pure and served in a vegetarian capsule. (Phytoceramides-Pure™ meets this requirement). It should not have any fillers, binders, or artificial ingredients. (Phytoceramides-Pure™ is 100% all-natural). It should conform to the tested grade strength and purity of the US Pharmacopeia's standards for quality. (Phytoceramides-Pure™ meets this requirement). Important Note: In addition to these requirements, make sure it contains natural Phytoceramides and not a synthetic version. In clinical studies, 350mg of Phytoceramides were shown as the optimal potency to reverse the signs of aging. Phytoceramides-Pure™ meets and exceeds all of these standards. 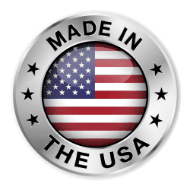 Phytoceramides-Pure™ is produced in the United States. 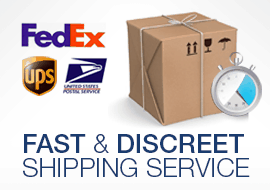 It is manufactured in a state-of-the-art FDA registered laboratory. It conforms to the tested grade strength and purity of USP quality standards. It is manufactured under the strict guidelines of the U.S. Food and Drug Administration's cGMP certification. Many manufacturers overlook the recommended criteria and clinical studies, using improper dosage, purity and potency to make a quick profit. By ignoring the key criteria mentioned above, they are producing ineffective products which are almost guaranteed to fail. In addition, we are offering a 100% money back guarantee, so you can feel confident that Phytoceramides-Pure™ will work for you. So, if you want to improve your skin and fight the signs of aging, don't settle for inferior products. Phytoceramides-Pure™ is the best product available, hands down. What Do Phytoceramides-Pure™ Customers Have To Say? Comment by: - Rosy M.
"I love this product! My skin really does look better and fresher than it did before I started using it. I bought a 6 month supply and after just one month, I saw the changes. I will be ordering more of this, for sure, it is definitely worth the price." Comment by: - Mary J. "I have been using Phytoceramides Pure for a few weeks now and I can already see a difference. I love the fact that it is all natural I am very excited to have found this product. Thank you guys." Comment by: - Candice H.
"I have been using Phytoceramides Pure for a few months and I have noticed a huge difference. My skin looks and feels softer and smoother than ever before and there is a noticeable lightening of my fine lines. I love that this product is natural and easy to use. I am not the only one to notice, many of my friends have also commented about how good my skin looks." Comment by: - Frank L.
"Every time I looked in the mirror, I felt embarrassed of my wrinkles. Yes, guys also feel the effects of aging! Then a friend recommended Phytoceramides Pure and I am so grateful! I am noticing a huge difference in my skin and it has made me feel much more confident about myself. 5 stars!" Comment by: - Julie K.
"Fantastic product! It really works! I love how easy it is to use and that it doesn't involve any changes to my skin care routine. I also love the discounts for the multi-bottle packages as I plan to use this product always. I am saving around $200 when I buy the 6 month supply. This is a good quality product that I would feel happy recommending to others." Comment by: - Jackie M.
"I was very skeptical to try this product, but since it is recommended by professionals, I decided to give it a try. And I am so glad I did! My skin looks younger, fresher, and smoother than before. Even my family is noticing the difference." Comment by: - Becky N.
"This is the best Phytoceramide product that I have found. 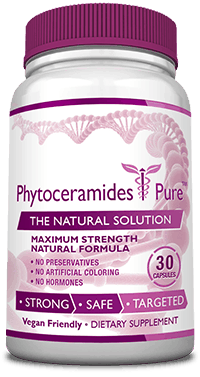 I love that Phytoceramides Pure only contains natural ingredients so I don't have to worry about any harmful ingredients. And I started to notice a difference to my skin after only a few weeks. I highly recommend this product." Comment by: - Celeste R.
"Seriously love this product! It has made such a difference to my skin, it is really amazing. Try it - you won't be disappointed"
Comment by: - Abigail A. "This is the most effective anti-aging product that I have tried. Most products are double the price and don't provide half the benefits of Phytoceramides Pure. I am very happy!"